This family-friendly community event highlights health, wellness, and fitness activities for people of all ages! Come have some fun as we celebrate World Tai Chi/Qi Gong Day on the green spaces of Gordon White Park, on the Atlanta Beltline Westside Trail. 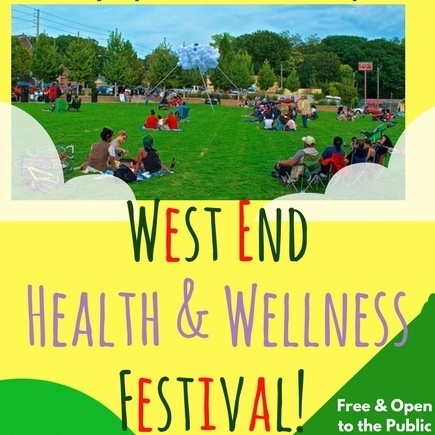 In collaboration with community partners, the West End Health and Wellness Festival will offer wellness speakers, music, art, exercise instruction, food tastings, a marketplace, demonstrations, walking meditation, health screenings, children's activities and more! Note - There is surrounding street parking, however, visitors are encouraged to walk, bike, skate, or run to the festival! 1354 Ralph David Abernathy Blvd.